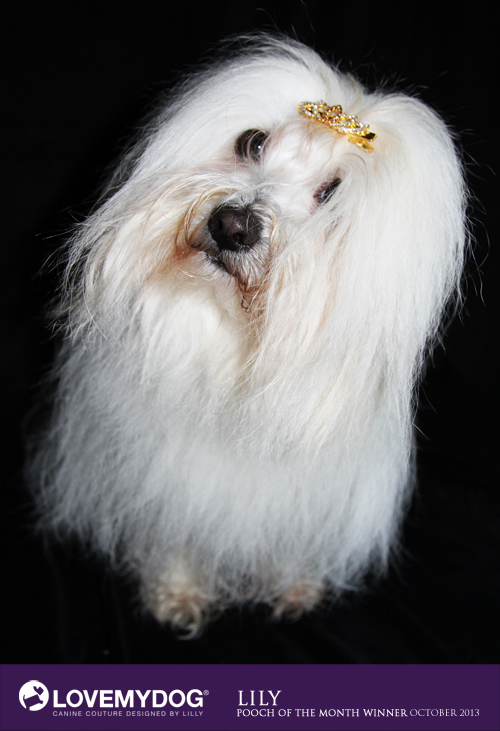 Congratulations to Lily, LoveMyDog’s latest ‘Pooch of the Month’. Lily’s winning photo has earned her a Swanfield Liberty print pink dog lead. We cut and pin the fabric for this dog lead by hand in our studio in Hoxton. It’s finished by a traditional British belt-maker using sturdy metal buckles and genuine saddlery fittings. The finished dog lead feels substantial and well-made and lasts for years. This will be our last Pooch of the Month photo contest but make sure you’re following us on Facebook and Twitter as we will annouce new canine couture competitions in the near future!